KNOW THE PAST. SHAPE THE FUTURE. Bring American History to life with inspiring student travel to iconic cities like Philadelphia, Boston, New York, and Washington, D.C., including stops at Independence Hall, the Statue of Liberty, the Mayflower, Ford's Theatre, national monuments, and more! Established as a “shining city on a hill,” Boston has been a cultural hub since the American Revolution. 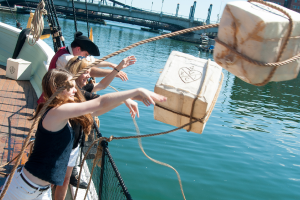 From colonial history to literary influences, our student tours feature immersive excursions to the Mayflower, the Salem Witch Museum, and more. 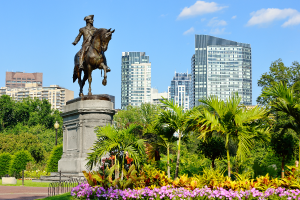 A mix of old world and modern culture, Boston and New York mirror our nation's growth since independence. 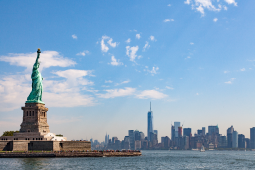 This joint tour features cultural attractions from Boston's Freedom Trail to the Statue of Liberty and Ellis Island. "The Capital of the World" lives up to the hype, serving as a meeting place for people and cultures from every corner of the globe. Our New York City student tour takes students to world-renowned sites and attractions they will recognize from popular culture. 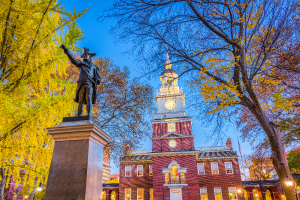 Philadelphia lets students discover the world of our Founding Fathers with visits to the Betsy Ross House, Independence Hall, and more historic sites. The Museum of Art and the Franklin Institute show how the city's culture still thrives. 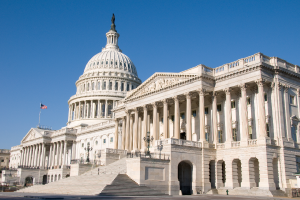 With monuments, landmarks, and museums spanning politics, history, and culture, our nation's capital is a living classroom for any student. Round out your trip with a visit to Mount Vernon, Monticello, Gettysburg, or Colonial Williamsburg. With Brightspark's educational tours, students will travel to explore culture, history, civics, and science. All while having tons of fun! Show your students the world with a global excursion. From ecology in Costa Rica to art in Paris, our international tours inspire curiosity and hands-on learning. Connect your music, dance, or theatre groups with iconic cities, renowned venues, and professional artists on a custom Brightspark performance tour.